A major in Neurobiology & Neurosciences focuses on the study of the brain and nervous system. This is a very important field that will allow you to unlock secrets of how the brain operates. If you are scientific minded with a love of figuring out how things work, this could be a great major for you. Students of Neurobiology and Neuroscience will study the structure and functions of the brain, the importance of the nervous system, how nerve cells send and receive signals, and the evolution of the brain. You will take a closer look at consciousness and how the brain controls all functions of your body, as well as what can happen when something goes wrong. Part of the major involves studying the effects of drugs and alcohol on your brain and nervous system. Classes that you will come across in this major are: chemistry, physics, biology, biochemistry, cell biology, microbiology, advanced mathematics, immunology, neurobiology, neuropsychology, physiology, and drugs and behavior. Concentrations in this major include: Neuroscience, Neuroanatomy, Neurobiology and Anatomy, and Neurobiology and Behavior. This is a very rigorous and competitive field. Many colleges will only accept a small number of students into this program every year. Be prepared to study meticulously so that you are able to perform both in lecture and lab. It is also important that you know how to work with others and collaborate. This will allow you to get the most thorough and accurate results. Effective organization will allow you to keep up with assignments and meet deadlines. 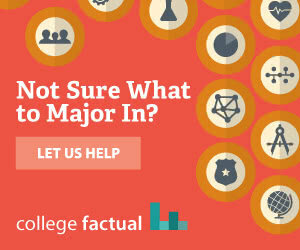 This major will require analytical, reasoning, and critical thinking skills. You will be asked to research and analyze your results. Patience will be helpful as you solve problems and conduct research. You need to know when to ask for help and when to persevere and try a different approach. Group work will play a large role in your undergraduate studies. Learn to contribute your thoughts and ideas as well as step into the leadership role when needed. Most colleges will require you to design and conduct a research project with the supervision and guidance of a faculty member. As this is a competitive field to go into, high school students are advised to gain a deep understanding of math and science before applying. Take as many courses in biology, chemistry, math and physics as possible. This major will prepare you for many different careers in advanced biology. You will be prepared to work as a neuroscientist, in medicine, business, or even law. Other career paths that you could pursue are biotechnology, research, psychology, or even education. Your salary may vary depending on your field. Here is a small sample of the careers that a degree in Neurobiology & Neurosciences might open up. Salary data is estimated by College Factual using 2013 data provided by PayScale.